This timely road movie explores the thriving underbelly of a dying American art form in the land where it began -- Mississippi. 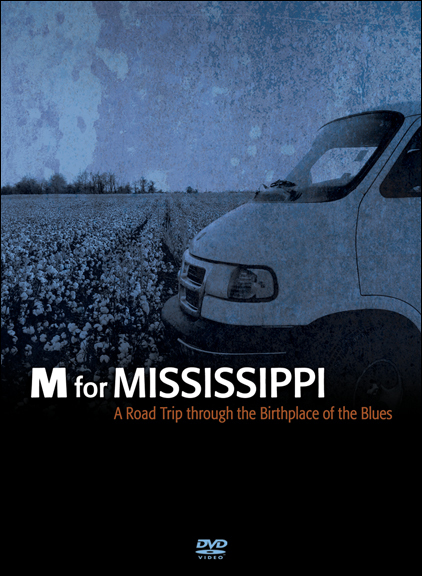 A weeklong journey through the birthplace of the blues, M For Mississippi captures the proverbial "real deal" in its home where it is most comfortable and authentic -- the jukes, the front yards, the cotton fields. To view trailers for the film, and purchase the film and soundtrack, please visit www.mformississippi.com. M for Mississippi was entirely filmed and edited by the incredible filmmaker, Damien Blaylock, who was also the filmmaker of Cat Head Present's Hard Times. For more about Damien's work, please visit his website at http://web.mac.com/dblaylock. The soundtrack of M for Mississippi, along with Mudpuppy's new T-Model Ford CD and the Broke & Hungry Records releases, were recorded, unretouched, out of the back of a Volvo wagon - in analog - by Bill Abel of Big Toe Porta-Studio. For more information, call (662) 395-2566.